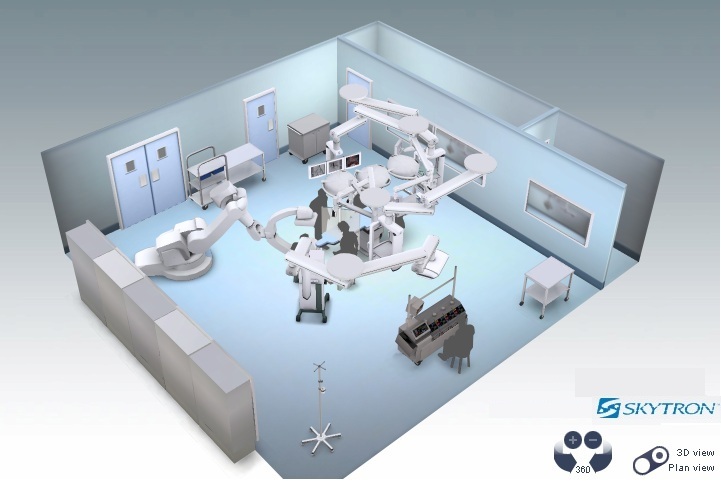 Interactive 3D Hybrid Operating Room Mock-Ups. Keywords: Hybrid Operating Room Designer, Hybrid Operating Room Planning, Hybrid Operating Room Budget, Hybrid Operating Room Consulting, Hybrid Operating Room Workflow, Hybrid Operating Room Cost, Hybrid Operating Room Architecture, Hybrid Operating Room Help, Hybrid Operating Room Equipment Planner, Hybrid OR 3D, Hybrid OR Mock-Up, Hybrid Surgical Suite Design, Hybrid Cardiac Catheterization Lab Layout, Hybrid Operating Room Budget, Hybrid Operating Room California, Hybrid Operating Room Nevada. *Would you like to have a 3D mock-up built custom to your specification? Please contact us directly or send us your information via the 'SUBMIT INQUIRY' link on top of this page. There is ZERO obligation for having a 3D model created. We can turn-over your design in less than 24 hours after a brief conversation about your needs, wants, and available resources. Please let us know how we can serve you!